Wanting the security of going through a reputable company to arrange my elective with, I began searching for organisations with locations in lower-resource countries whereby I thought I would experience healthcare that would be very different to that of the UK. 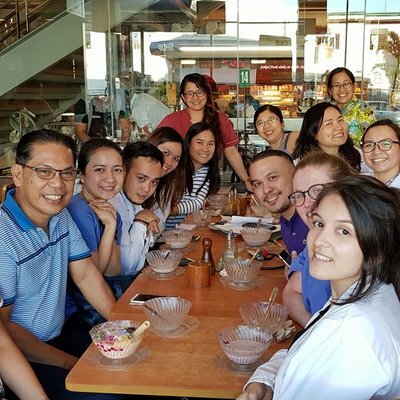 When I came across Work the World I was over the moon to see that they had a placement in the Philippines as I had always wanted to go to that area of the world. After looking at all the information regarding a medical elective in Iloilo, I was certain that it was the place for me. Between booking my elective and starting my journey, as with all who use Work the World, support and advice was available at set times (such as a phone call 10 days before leaving the UK to confirm arrival plans and discuss any last minute issues) and staff were always on hand to respond to emails or phone calls. In my experience, this was particularly useful with the unfortunate events that occurred in November 2013 when Typhoon Yolanda hit the Philippines, whereby staff promptly addressed and settled any concerns raised. Additionally, access to your own "MyTrip" page complete with an in depth information pack and personal timeline makes it easy to process all the facts at your leisure. Upon arrival at Iloilo Airport, we were greeted with a smile by one of the WTW Iloilo team. We made our way to the Work the World house, received a brief introduction to the programme over our welcome meal and had a tour of the beautiful house that would become a home away from home over the following weeks. Orientation on the Monday began with a trip to Western Visayas Medical Centre, touring the departments that we would be working in. Whilst I had an inkling as to the difference between healthcare in the UK and the Philippines, there is nothing quite like witnessing it up close with your own eyes, and I was intrigued to start working to appreciate this more so. The afternoon consisted of a city tour, complete with a guide to Iloilo at City Hall, and a lovely lunch - I would definitely recommend trying the Talong (fried aubergine) and Bangus (Milkfish). Whilst the combination of jet lag, excitement, apprehension, and receiving a vast amount of information was a lot to take in initially, there is always someone around who is happy to help and answer any of your questions. The House itself is perfectly situated between much of the local attractions, such as the Esplanade (great for evening strolls or Zumba), SM City (the Mall) and Smallville (home to a variety of restaurants, bars and clubs). The hub of the house would have to be both the dining room, where everyone gathers for the oh-so-tasty meals, and the third floor living area where all the fun happens on a Thursday night with the weekly BBQ and Karaoke session (prepare to be amazed when the staff take to the floor…it seems that all Filipinos are born to sing). Within a matter of days, the house starts to feel like a second home, and the staff/other students become more like family than a group of strangers. For my medical placement at the hospital, I was able to split my experience between the Emergency Room (under the Department of Internal Medicine) and the Department of Anaesthesiology. The staff in both departments were very welcoming and quickly made me feel like part of the team. To get the best out of your experience it is advised to be proactive, and as long as you show that you are competent and keen to learn, there'll always be plenty of things to do and learn. One of the first things to note about the hospital is that it is very different to the western world and in order to make your experience count, it's best not to fight it! Embrace the change and use the knowledge of the differences between them to positively influence your practice back home. Whilst they may not have access to the high-tech facilities and numerous staff available in developed countries, how the Filipinos utilise the staff and equipment they do have access to, is truly inspiring. 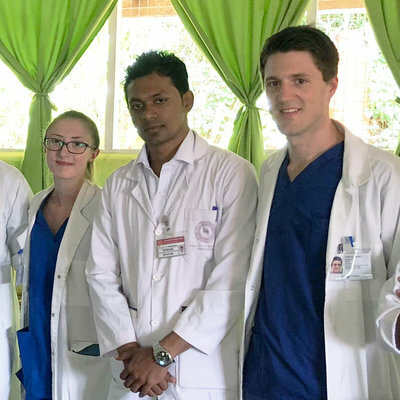 With regards to clinical skill opportunities, clinical histories and examination, IV insertions, venepuncture and urinary catheterisation are in abundant numbers in the Emergency Room, with approximately 100 patients entering the department on a daily basis. 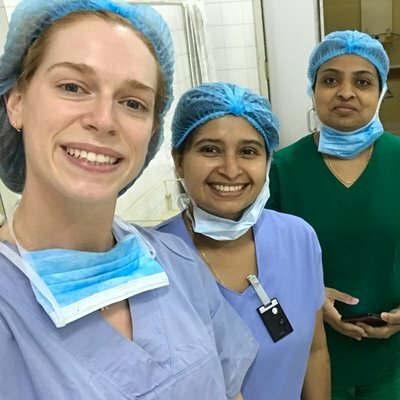 During anaesthetics, opportunities to intubate and perform subarachnoid blocks are available left, right and centre with the doctors pointing out which theatres to attend. When not engaging in practical skills, there is still so much you can take from talking to staff about the process of medical training, hospital funding and issues such as patients not being able to afford the treatment they need. Outside of the hospital placement, I spent my spare time doing a mixture of day trips and weekend breaks full of adventure. For those who like to hike and marvel at beautiful landscape scenery, a journey to Mambukal Mountain Resort is advised. Here you can venture up the rocky mountain path to view all 7 waterfalls and take a thrilling ride down on the back of a motorbike! Sturdy shoes and a change of clothes (or at least stuff that will dry quickly) is preferable as it can get very interesting crossing the river. If not participating in the Village Experience, island hopping around Guimaras with beautiful weather, white sandy beaches and crystal clear waters perfect for snorkelling is a day you will never forget. For me it seems impossible not to fall in love with the Philippines! It’s fair to say I had the trip of a lifetime and am so grateful to everyone who made it possible. With memories and new friends I will cherish forever, I cannot wait for the day that I get to return.